Convergence of the water and the sky. This picture was taken while leisurely walking along the ocean in Mauritius. November 29, 2014 in Photo Challenges. A lone fisherman trying his luck in the wee hours of the morning, in Mauritius – my take on minimalist. The second is a picture from Andaman Islands in India. November 8, 2014 in Photo Challenges. August 28, 2014 in Mauritius, My Travelogue. 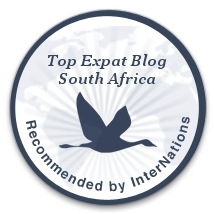 August 25, 2014 in Mauritius, Mauritius, My Travelogue, Restaurant Reviews. August 18, 2014 in Mauritius, My Travelogue. It’s only natural for me to bring you a little bit of Africa in this week’s challenge of ‘silhouettes‘! This one is from a very recent holiday in Mauritius. A man trying to get an early start on his fishing. August 17, 2014 in Photo Challenges.